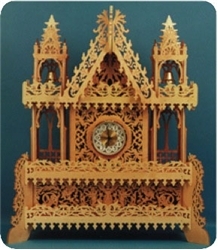 Since 1996, Berry Basket scroll saw patterns have been delighting scrollers all over the world. Our project plans contain FULL SIZE, traceable patterns which you can transfer to blank wood stock and begin cutting to make an heirloom-quality project such as those featured below. Also included in our scroll saw patterns are: Material Lists, Exploded Diagrams, Shop Notes, plus tips and techniques from a Master Scroller. We’ve moved our business operations over to Scrollsaw.com in order to serve our fellow scroll saw enthusiasts more effectively. You can check out a few links from here for your convenience, or just click on over to Scrollsaw.com and see what we’ve done there. Thanks for visiting! So The Berry Basket is STILL kicking -- we’ve just moved. There are still plenty of fantastic scroll saw patterns for download, allowing you to choose a project today and start scrolling TODAY. We’ve increased the number of pattern Value Packs, giving you more bang for your buck. We’ve lowered prices on single pattern downloads. 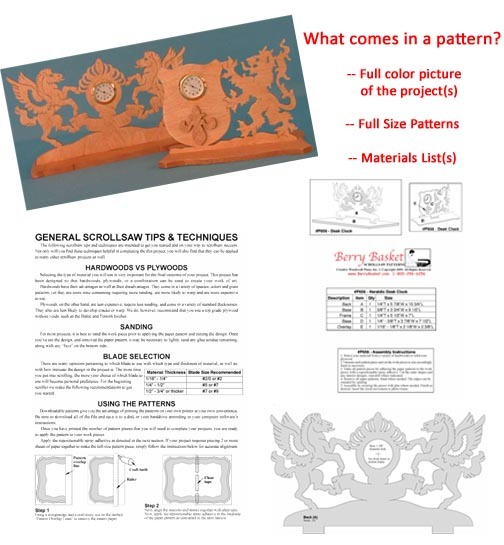 We’re offering more FREE scroll saw patterns for IMMEDIATE download with absolutely no obligation, required information, or payment. Please feel free to Contact Us and share how you think we are doing and let us know how we can serve you better. Copyright 2014. All Rights Reserved. SRX Enterprises, LLC. 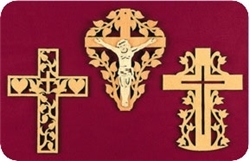 Scroll these beautiful crosses for FREE -- we’ve decided to allow free use of our Christian themed patterns for your own personal scrolling. and the “old ways”. . .
. . .hey, it’s FREE. Why not? Italian-themed Bell Tower Clock is a feather in the cap of any scroller. The intricate scroll detail provides both a challenge and a stunning effect, as you can see from this photo taken of a project finished using our pattern. 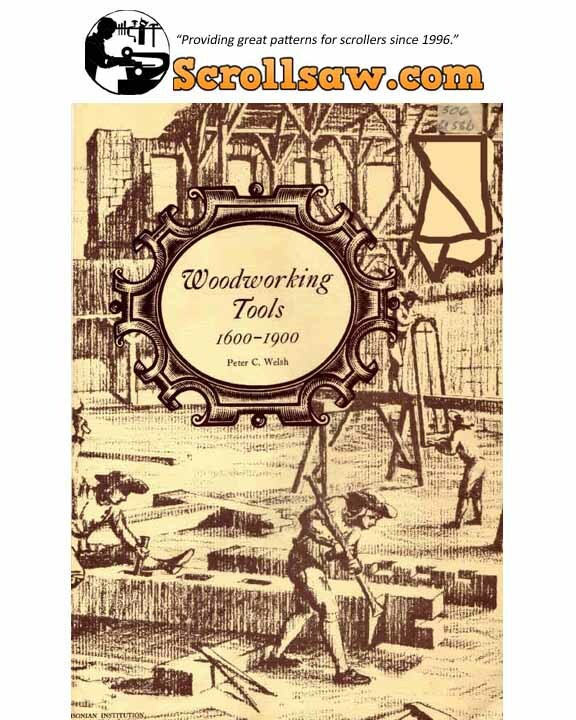 Come on over to Scrollsaw.com and see which heirloom-quality project appeals to you -- no matter where your skill level is at, there is a project that will help you learn AND succeed.